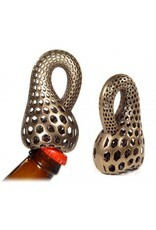 The klein bottle is a surface with only one side. It's just about to enclose a space like a regular bottle, then it curves back with a twist so the inner side of the surface merges with the outer, and suddenly it doesn't enclose any volume at all. 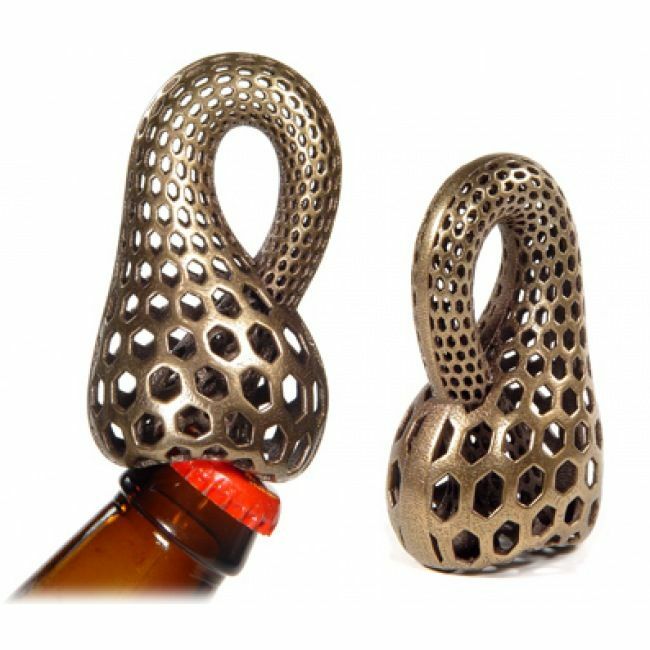 This steel/bronze model by Bathsheba Grossman looks beautiful, is durable, washable, and sized to fit your hand, and yes, it actually opens bottles!